Markets slowly healing this Friday; VeChain, XRP, Lisk, and Ontology performing well. The markets are still slowly healing from their lowest levels this year as we near another weekend in crypto land. Total market capitalization is creeping up and is over $210 billion again but still not showing any signs of a sustained recovery. Bitcoin has held the $6,400 support level and has inched up 1.3% on the day to just below $6,500. The next major resistance point for BTC is $6,600 and signals are quite bullish at the moment. Ethereum has clawed its way back to $300 and is 3% higher on the day. ETH too is poised for more upsides as this Friday proceeds. Altcoins are mostly in the green at the moment with some gaining more than others. In the top ten Ripple’s XRP is making the most progress with an 10% jump on the day to trade at $0.320. On the week however XRP has lost 7.5% and it has been down trending for the past six months. Monero is also posting a good bounce back with 5.8% to $96, the rest are around 2-3% higher on the day. Ethereum Classic has actually dropped 2.5% on the day back to $13.70. Lisk is also still rising, up 17% on the day to just over $4. The top twenty sees gains of 5-6% for Iota, Tron, Neo and OmiseGO as digital wounds slowly start to heal. 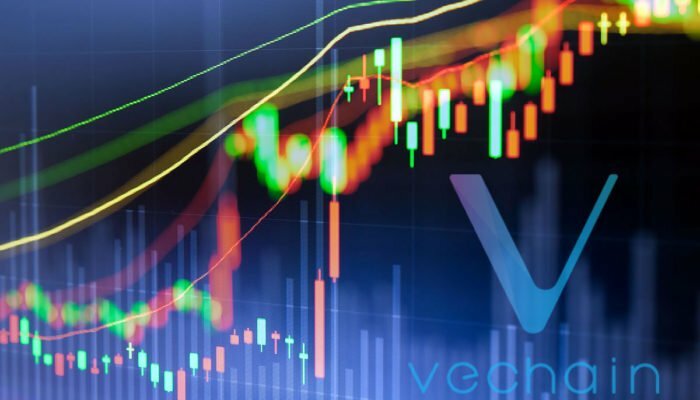 VeChain is the coin of the day however with a monumental 38% pump to $0.0144. The spike has likely come from a Nasdaq news article covering the VeChain announcement of a blockchain vaccine tracing solution for China. The Chinese government has not officially endorsed VeChain yet however the development is a positive one for the altcoin that has been hit hard recently. VET is currently traded almost exclusively on Binance which has over 95% of the total volume. Trade volume has also jumped in the past 24 hours from $30 million to $85 million. VET has almost regained all losses in the past month when it fell over 50% to a low of $0.0065 three days ago. The only altcoin outperforming VeChain in the top one hundred is Cortex pumping 48%, Populous, Pundi X, Ontology and Nano are also doing well with over 30% gained on the day. Total crypto capitalization has climbed almost 3% in 24 hours to $213 billion and trade volume is up a little. There is still a very long way to go however before we can begin to talk about a real recovery.